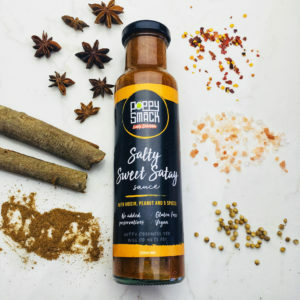 This sauce packs a punch, delivering a fusion of southeast Asian flavours that will delight your taste buds. 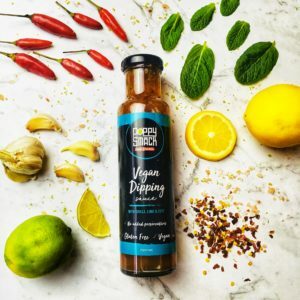 Incorporating exotic spices of Siam, fresh herbs of Indo-China and seasonings of Nyonya, it’s created from a blend of carefully selected ingredients that truly identify PoppySmack’s Asian roots. 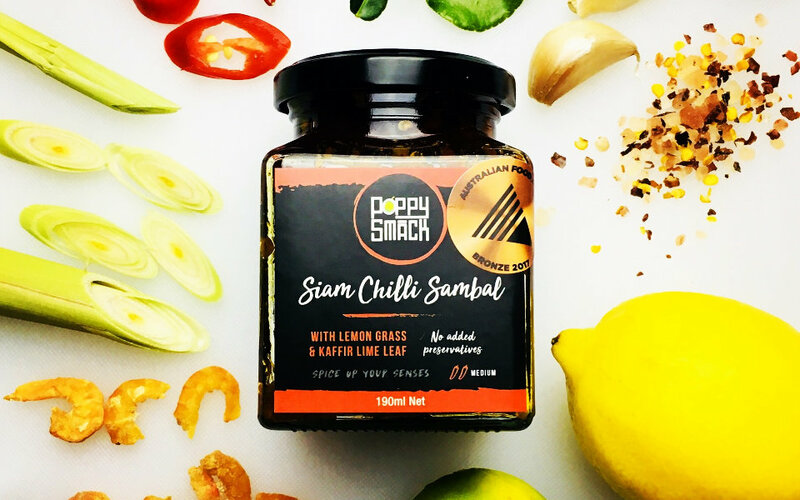 You can rely on Siam Chilli Sambal to deliver an authentic flavour for your spicy stir-fry, curry laksa, grilled lemongrass beef or an excellent base for your tom yum. 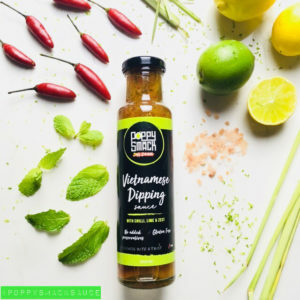 Appreciate the complexity of the recipe when enjoyed with a good cut of steak, a platter of seafood, a bowl of steamy pho noodle soup or add it to your guacamole for an Asian twist! The special family recipe will impress the most selective of sambal lovers out there. 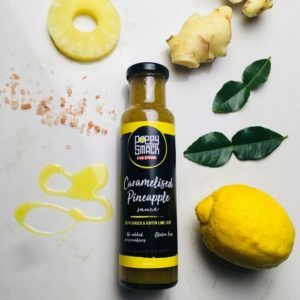 Just ask the judges who awarded it the medal at the Australian Food Awards!